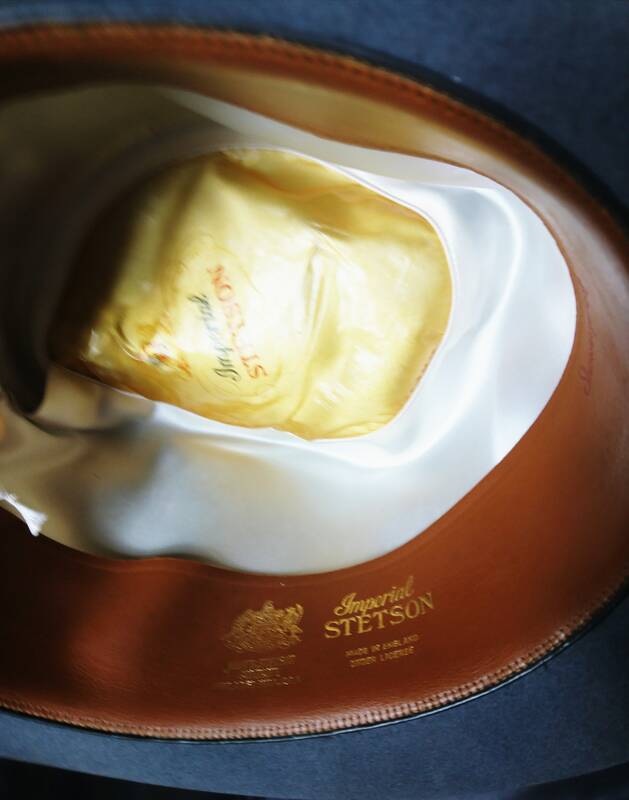 The famous Stetson brand hats from the USA were also produced under license in England, this is a fine example of one of those hats. 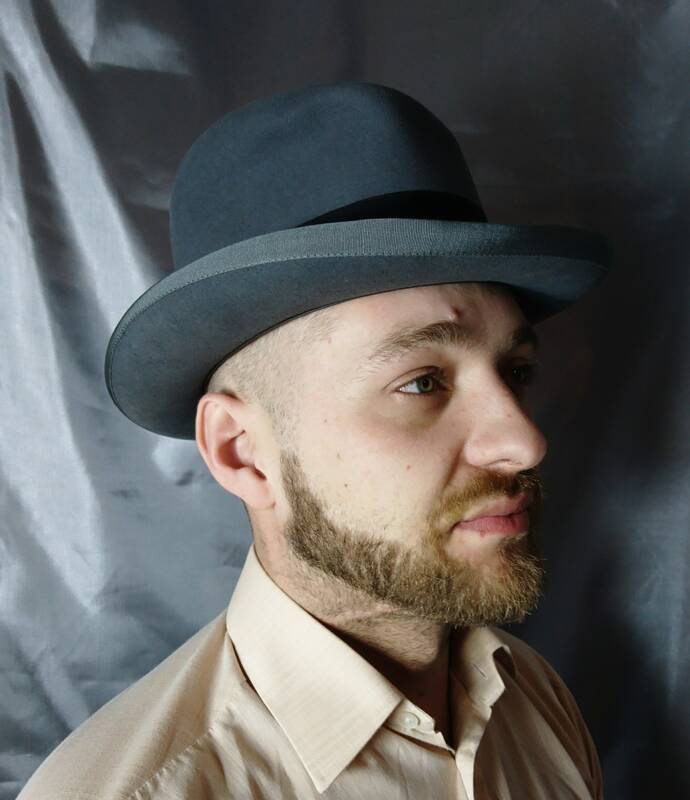 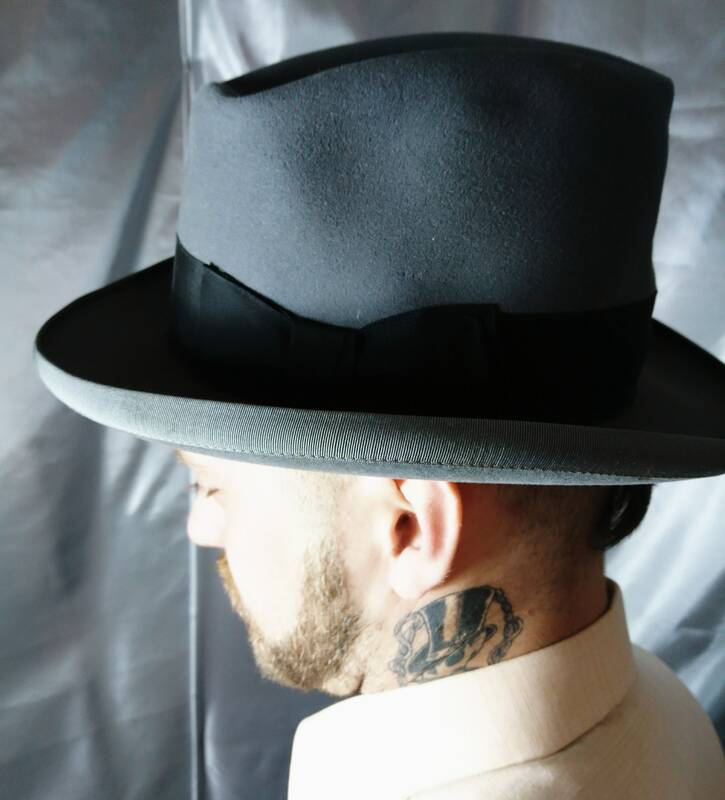 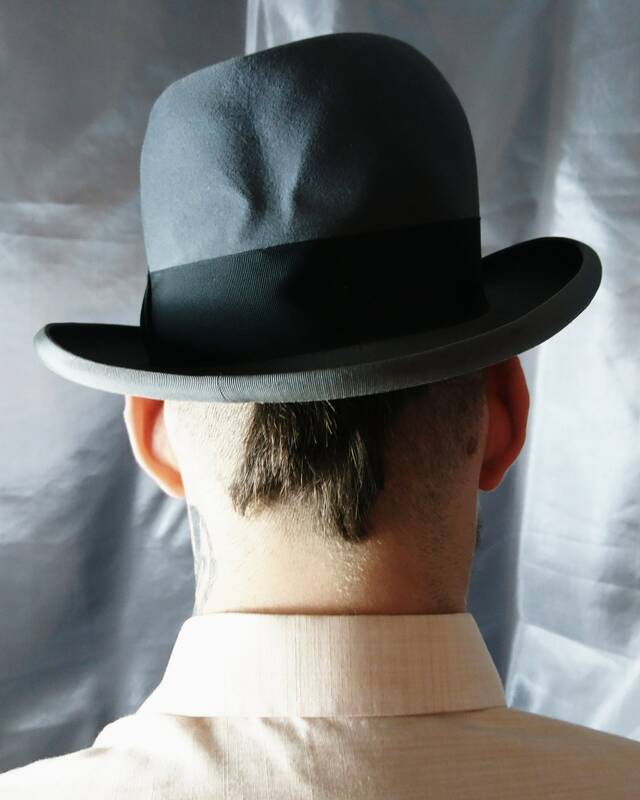 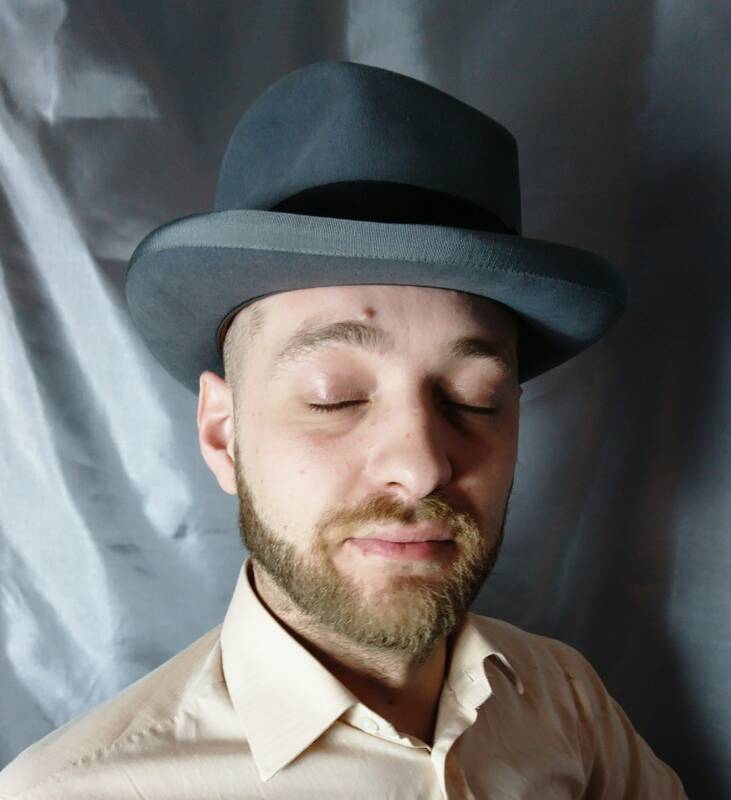 This fabulous genuine 50's Fedora was made in England, it is a Stetson Imperial brand fedora in a slate grey felt with a contrasting black grosgrain band and bow. 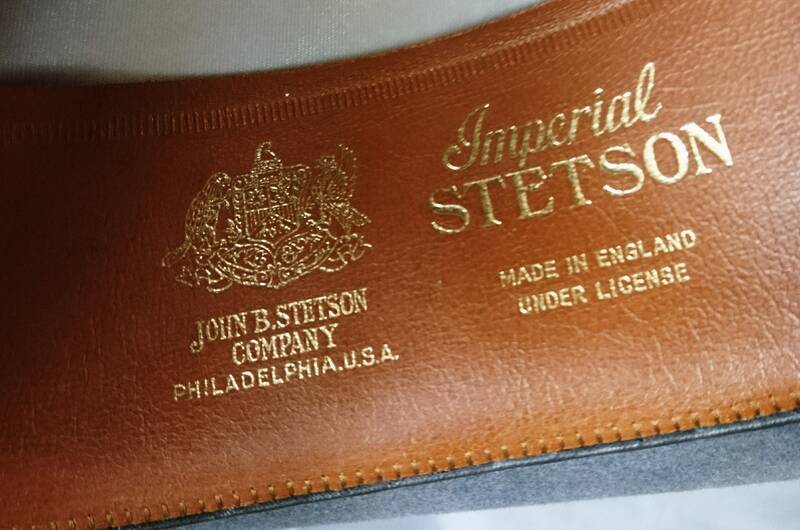 It is in a used but good vintage condition. 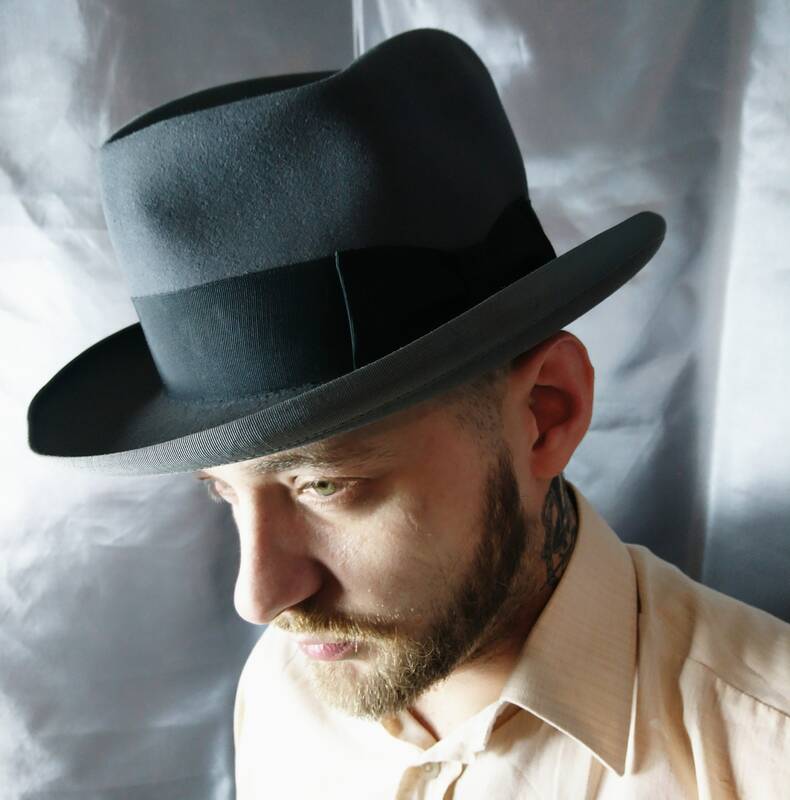 Very nice hat, smooth international transaction, thank you.